When it comes to analysing the reasons why Chelsea are, sporadically, struggling this season, with unpredictable being the word to describe our play, it has been noticed that many of our readers have bemoaned the fact that the side lacks a true leader. Previously, when things haven’t been going to plan we’ve had the likes of John Terry, Frank Lampard, Didier Drogba and to a lesser extent, Petr Cech, to galvanise the side, these days we just seem to shrink, when the going gets tough. 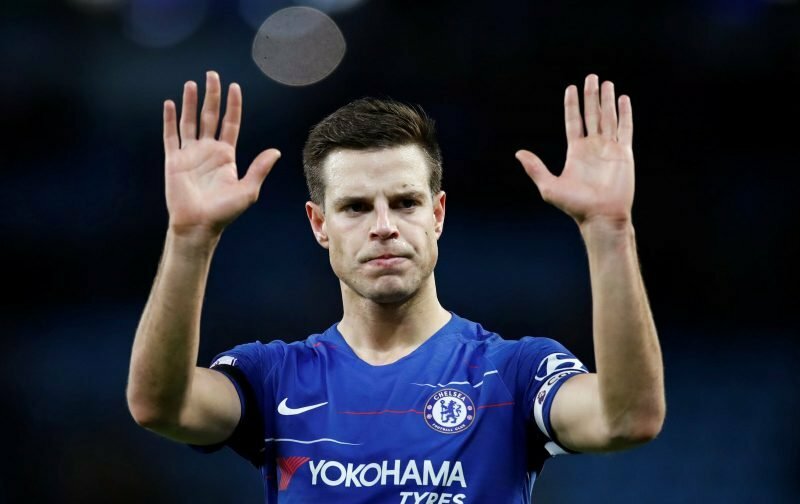 At the moment, Cesar Azpilicueta is the captain of the side and whilst Cesar is a more than decent defender, it’s noticeable he hasn’t been on top of his game this season, which begs us to ask whether the burden of being captain has affected his game. On Sunday, when ‘Kepa-gate’ was in full flow, it was noticeable that Cesar wasn’t at the forefront of proceedings with only David Luiz being involved. “I’m a fan of Azpi but as captain he should never have allowed what happened with the goalkeeper refusing to come off to happen. Now we’re not doubting that Rudiger is far more vociferous on the field-of-play and he has established a rapport with the Stamford Bridge support, but would he make a better captain that Cesar? He is the unsung hero for Chelsea for so many years, possibly through his hardworking. He deserve to lead this moment, let him.